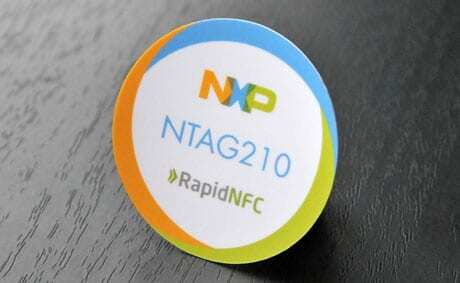 NFC tag supplier RapidNFC has added tags based on NXP’s next-generation NTAG210 IC to its product range. The chip, announced in October 2012, includes a range of built-in security features including password protection and an originality signature. While only available in limited quantity, samples of the NFC Forum Type 2 tag have been made available to RapidNFC’s software partners and can now also be purchased as part of its Advanced NFC Chip Developer Pack. “The innovative features of NXP’s NTAG21x NFC chip series will offer benefit to our customers in a wide range of applications, notably in asset tracking, security access and vCard encoding,” says Phil Coote, CEO at RapidNFC.